Our service includes intonation*, hammerhead-service, grand piano service for instruments which are used intensively in schools and colleges. Also the installation of Silent Systems, Piano-Life-Saver-Systems, also the adaptation to concert or school rolls. Especially intonation and regulation work can bring a piano that is already used for years tonally and technically into shape. Many clients already made the experience that peeling of the hammerheads and intonation is important for the sound of a piano. When a piano is used extensively tuning only is not enough. Please get pieces of information about the intonation of pianos in our shop (Tel. +43 1 522 83 20). 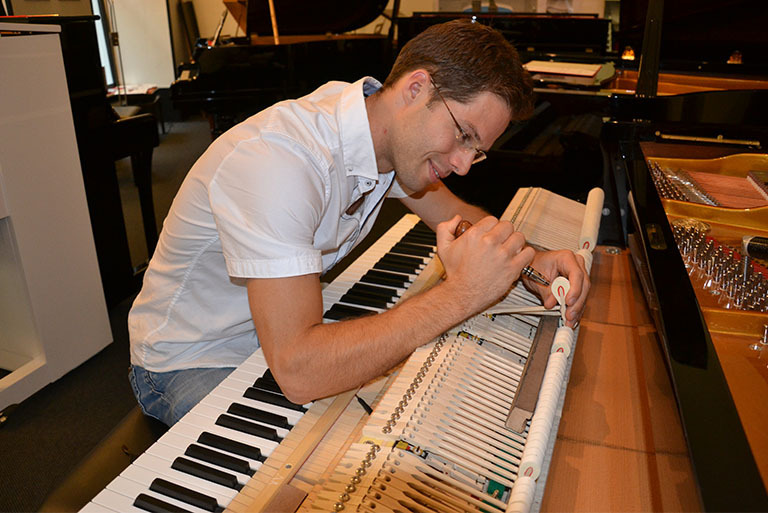 We repair all pianos with utmost care, regardless of type, age or origin. We choose the best materials from the firms Renner, Abel, Kluge, Jahn, Heller, etc. The choice of the repairer is very important not only for old, used pianos or beginner pianos but also for top brand pianos. In the section Piano Age and Value Determination of our website you get useful information that helps you to assess your piano. Especially for clients with top brand pianos the professional execution of repair work and the quality of the used materials is very important for the conservation of value. 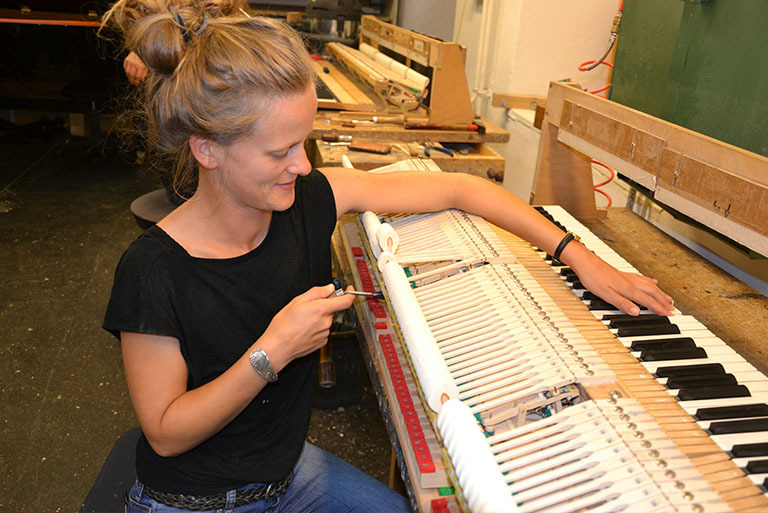 We are one of a few companies which are sufficiently experienced and have the technical potential for high-quality piano repairs. For personal advice please call us (Tel. +43 1 522 83 20). By appointment, we would gladly show you through our workshop to give you an idea of our work. * Intonation means the work on the hammers which has a huge influence on the sounds and colors of the instrument.